Welcome to the Law Office of Debra R. Mehaffie, LLC. We are a professional full service family law practice focusing on many family law matters. We recognize that each client has very personal individual needs. We approach each case with care, compassion, and understanding. We work hard for our clients to provide results. We respect your privacy and understand that you are going through an extremely difficult time. Attorney Debra R. Mehaffie has extensive experience representing clients throughout Central Pennsylvania with dignity, respect and integrity. She takes the time to get to know each client and explores every legal option available in each case. The practice is limited to representing a small number of clients so that each individual receives the attention they deserve. Family law matters can be extremely emotional and financially draining. Attorney Mehaffie has been representing family law clients since 2003. Her practice is limited to family law matters so that she can concentrate on the ever changing laws and procedures in family law. 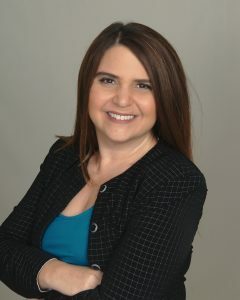 She strives to provide every client with skilled knowledgeable legal representation. We understand that every client has a different case and requires individualized attention. Attorney Mehaffie is available to help clients in a variety of emergency situations. She will meet with clients in the evenings and weekends if necessary to address important matters. We take the time to sit down with you to understand the facts of your case and the emotional impact of your disputes. We understand this is an extremely difficult time so we work to help you understand the law, the legal process and your options in ways that are meaningful to you. We litigate aggressively for many clients. For those who are interested in approaching their family disputes peacefully and with little or no court involvement, we offer alternative dispute resolution options. Attorney Mehaffie is a trained parent coordinator and mediator. We offer collaborative law and mediation services to help families resolve disputes privately. We are committed to providing reasonable cost-effective solutions to challenging family law matters. Contact our law office today for an initial consultation by calling 717-790-2403. A friend of mine who is an attorney told me about Ms.Mehaffie after I informed her that I was in a pickle having wasted 6 weeks with another attorney who I felt was not handling my case with care and left me feeling very uneasy. I fired the other attorney and hired Ms.Mehaffie. I am absolutely confident that I made the right decision in doing so. Ms.Mehaffie assured me that she could make the scheduled custody hearing when I hired her a few weeks prior after terminating my previous attorney. Ms.Mehaffie was up front, honest and direct in her approach which I found to be comforting. I had no surprises, she kept me in the loop on all matters, provided helpful consult and kept things moving along smoothly. I was confident and assured while working with her that I was in good hands. It was a pleasure with to work with a capable, intelligent woman, and her staff, who knew exactly how to help me in my situation. She turned an extremely stressful situation into one that was managable with her expertise. I highly recommend her for custody matters.